"Academy Award Theater: Shadow of a Doubt"
Alfred Hitchcock is best known for directing a producing psychological horror and suspense movies like Psycho, Vertigo, The Birds, Rebecca, Lifeboat, Rear Window, North by Northwest, Strangers on a Train, Dial M for Murder, To Catch a Thief, Shadow of a Doubt, Notorious and more. 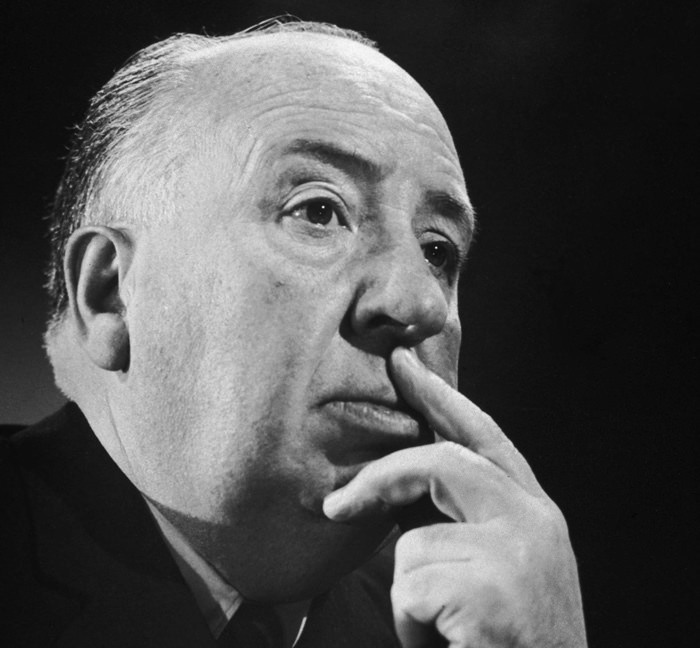 In all more than 50 major films are attributed to Alfred Hitchcock in a career that spanned 60 years. Alfred Hitchcock's career began in his native England, first as a title designer in the 1920's and quickly moving up to directing silent films. After finding great success in the UK, Alfred Hitchcock moved to Hollywood to make bigger budget films. His first American Movie, Rebecca, won the Academy Award for Best Picture in 1940. Some of the biggest names in Hollywood clobbered to work with Alfred Hitchcock including Cary Grant, Jimmy Stewart, Laurence Olivier, Raymond Burr, and more. Alfred Hitchcock cast some of the leading Hollywood bombshells of the gold age of radio like Grace Kelly, Kim Novak, Joan Fontaine, Ingrid Bergman, Janet Leigh, Marlene Dietrich. Hitchcock used a lot of blondes in his work saying "Blondes make the best victims. They're like virgin snow that shows up the bloody footprints." 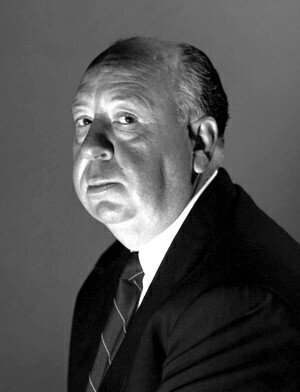 When Alfred Hitchcock moved to television and hosted Alfred Hitchcock Presents in 1955, he became a pop culture icon known for his "gallows humor." Similar to Raymond on old time radio's horror favorite Inner Sanctum, Alfred Hitchcock would crack witty remarks about the grim psychological topics on the show. As a very visual film maker, Alfred Hitchcock work on radio in less known. However, Hitchcock was a master marketer of his films and utilized the power of the radio to promote his movies on radio shows like Lux Radio Theater, Screen Director's Playhouse, Screen Guild Theater, Suspense, Academy Award Theater, and more. Wonderfully acted. Very exciting/suspenseful. You can't go wrong with a Hitchcock radio play.